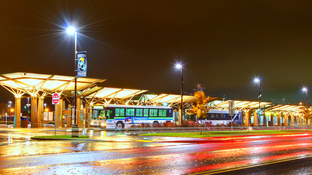 C-TRAN is governed by a Board of Directors comprised of nine elected officials representing local government within the C-TRAN service area and one non-voting member representing labor. 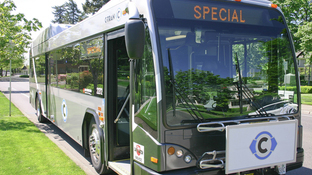 The C-TRAN Board of Directors typically meets on the second Tuesday of every month. More information about the C-TRAN Board of Directors. View all archived videos. Most recent below. 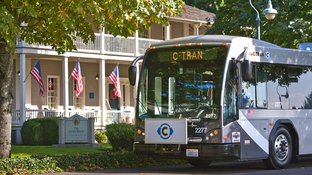 Complete coverage of the April 9, 2019, C-TRAN Board of Directors meeting. Complete coverage of the March 12, 2019, C-TRAN Board of Directors meeting. Complete coverage of the February 12, 2019, C-TRAN Board of Directors meeting. Complete coverage of the January 8, 2019, C-TRAN Board of Directors meeting. Complete coverage of the December 11, 2018, C-TRAN Board of Directors meeting. Complete coverage of the November 13, 2018, C-TRAN Board of Directors meeting.